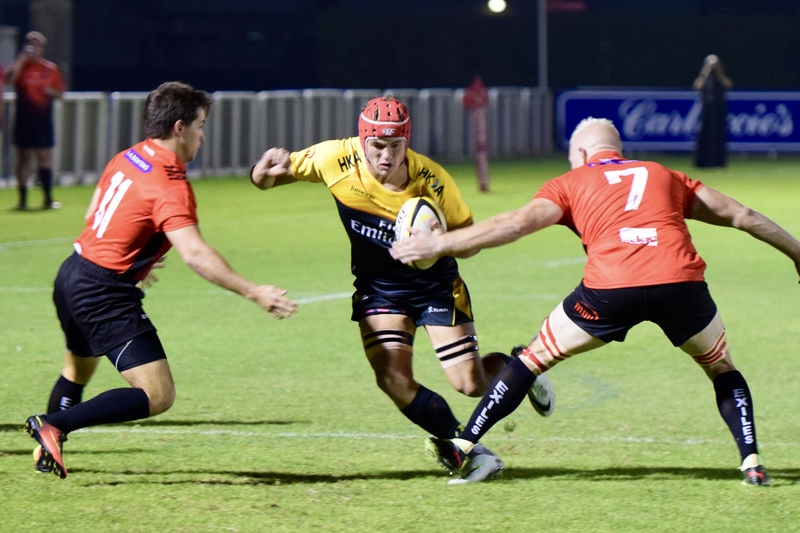 Bahrain recorded a perfect start to the new West Asia Premiership season with a bonus point win against visiting Dubai Eagles, although the home side had to claw back an early 10-0 deficit in order to remain perfect. Elsewhere on Friday there were points galore as Abu Dhabi Harlequins turned over reigning champions Jebel Ali Dragons on their own turf, emerging 46-22 winners. There was also a feast of tries in the Dubai derby as Exiles beat Hurricanes 45-26 at The Sevens. It was a barnstormer of a game between the two Dubai sides, but Canes coach Mike Wernham was left feeling bitterly disappointed. “We started off really well, were 7-0 up after 10 minutes. We then went missing for 60 minutes,” said Wernham, whose side got their season off to a winning start last week against Eagles. “The set-piece worked really well, we won almost every lineout and combatted their big pack in the scrum. The big one was pure defence, the amount of missed tackles was high, hence the 40 plus points conceded and people need to hold their hands up. “The pleasing thing is we could have folded completely but didn’t. We fought and fought, and pulled out the four-try bonus point. So in terms of last year it’s an improvement but at the start of the season when the fixture list came out and we saw this one, it was in every player’s minds. “We were confident with what was out on the field. A couple of big strong ball carriers gave them all the confidence they needed and we knew Durandt (Gerber, Exiles fly-half) would kick penalties if given the chance. Cheesed off is probably an understatement, but victory is a massive boost for Mike McFarlane’s men after they lost at home to Bahrain on the opening day. “I’m really proud of the boys who put in a great performance from the first whistle,” said the Quins coach. “The biggest improvement was the execution of the game plan for the entirety of the game. Set-pieces gave us an excellent platform and the boys displayed physicality and control. And there are plenty of reasons why Eagles – who only came into existence last season – shouldn’t be taken lightly. Andrew O’Driscoll’s men took the game to their illustrious hosts before Louie Tonkin’s side eventually moved through the gears, earning a 52-16 triumph. “Eagles got off to a great start, which shocked us a bit,” admitted Tonkin. “They kicked really well, put our back three under a lot of pressure, and scored a great opportunist try with a kick and chase and were 10-0 up. 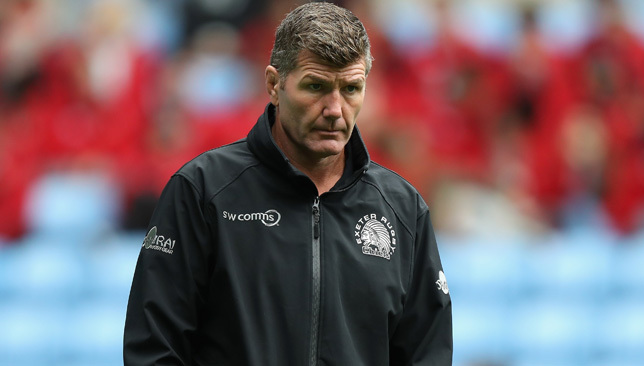 Exeter director of rugby Rob Baxter was far from satisfied with his side’s performance despite the Chiefs maintaining their impressive start to the season with a fifth consecutive win by defeating Worcester 28-11 at Sandy Park. Exeter were nowhere near their best but still managed to pick up a bonus point by scoring four tries. Dave Ewers scored of them, Jack Yeandle and Harry Williams one apiece, with Gareth Steenson converting all four. “We need to be picky as the second half was the sloppiest of the season as we wasted 30 minutes of rugby where we could have prepared for the challenges that lie ahead,” Baxter said. “Again we didn’t start quickly but went through the gears to score three tries but after that we didn’t progress as individuals. The best is likely to come in the next three weeks as Exeter face a tough away league encounter at Bath before European ties against Munster and Castres. “We’ll celebrate the win tonight and have a beer but the season will be defined as to whether we reach semi-finals or further in the competitions,” Baxter added. Two penalties from Chris Pennell and a try from Ted Hill were Worcester’s response as they now have their eyes firmly set on next week’s crucial home game with Premiership newcomers, Bristol, which director of rugby Alan Solomons accepted would be a crucial game. “The Premiership is not a sprint but we would like to finish this block of fixtures with a win before our home crowd,” he said. “We will have Nick Schonert, Bryce Heem and Francois Venter back and with an eight-day turnaround, we’ll really need to prepare. “Exeter had too much power for us today but we had a good 20-25 minutes and full marks to their defence for keeping us out. “They then scored three power tries and we were 21-3 down but we showed resolve and resilience to pull it back to 21-11 before Ryan Bower was sin-binned. Argentina face New Zealand in the fifth round of the Rugby Championship in Buenos Aires on Saturday, with the All Blacks looking to bounce back after suffering a rare defeat against South Africa two weeks ago. The Pumas haven’t beaten the All Blacks since 1976, but have already lost to South Africa and Australia earlier this year. Here, we take a look at the key highlights ahead of the match. There is no doubt that Beauden Barrett is one of the greatest fly-halves of this current generation, but for a two-time World Player of the Year, his place kicking is appalling. He missed four out of six conversions against South Africa two weeks ago, including an easy kick to force a draw following Ardie Savea’s try. Remarkably, Barrett only has a 58 per cent success rate from the tee in the Rugby Championship, in contrast to Pumas No10 Nicolas Sanchez’s 82 per cent success rate. Barrett may have the playmaking skills that most other players in the world don’t have, but how many teams have won a Rugby World Cup with a poor placekicker? If Argentina are going to make history and beat the All Blacks for the first time in 42 years, they need to score plenty of tries. The strongest area of Mario Ledesma’s side is his back three, and with Ramiro Moyano out injured, much pressure will fall on totemic full-back Emiliano Boffelli. The 23-year-old Jaguares star has gas, power, good defence, accurate kicking from hand and reliability under the high ball. But, what he can do is that his opposite number possesses in truck loads. One of the best readers of the game and arguably one of the All Blacks’ most decorated players at present, Ben Smith rarely seems to have a bad game. 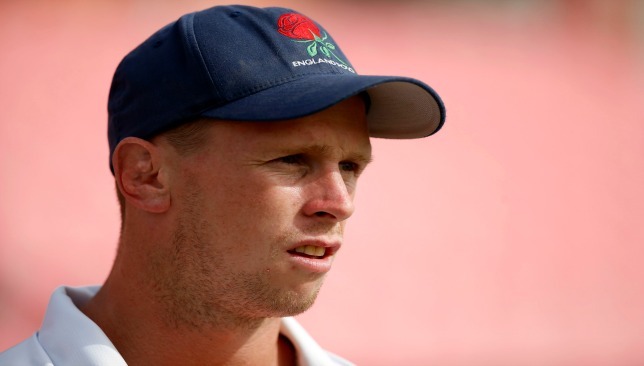 His consistency at Test level is remarkable, and although he may have the edge in his attacking prowess going forward, Smith will still need plenty of assistance from his back-line to get the upper hand on a dominant and hungry Pumas attack. “I wanted New Zealand to come here having beaten South Africa because it is so seldom that they lose two matches in a row. “All Black teams are well known for coming back reasonably strongly after a defeat. There is no doubt that the Pumas have improved this season under Ledesma, but New Zealand’s attacking threats should prove too strong in Buenos Aires. Shannon Frizell, Waisake Naholo and Barrett can all make the magic happen with ball in hand, and will be difficult to stop when going forward at pace. 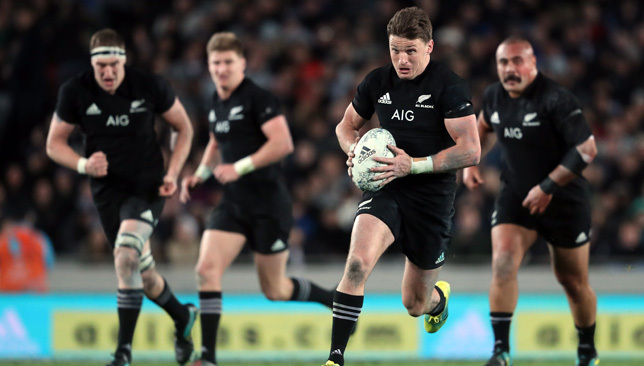 With the return of Sonny Bill Williams to the starting XV , the All Blacks back-line will benefit from his superb power game and offloading skills. Expect it to be a tight first half and then the visitors to storm to a convincing win.